Did Obama Just Set Off Gog and Magog? 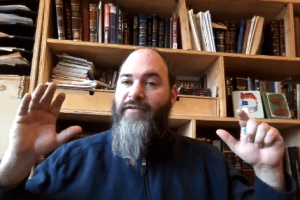 Redemption advocate Eli Soble connected the US abstention from the latest anti-Israel vote in the UN Security Council to the advent of the great war of Messianic days in a video that has gone viral since its release on Facebook on December 26. In this video which has been viewed more than 26,000 times, Soble asserts that it’s “a sign of redemption, a sign that Moshiach is close” that the nations are trying to take Jerusalem and Israel away from the Jewish people. “The great Jewish prophecy of Gog and Magog is…the last great barrier before we reach redemption, and it’s appearing, it’s materializing, right before our eyes,”Soble announced. He mentioned a recent news article in Reuters about the upcoming Middle East peace conference scheduled for January 15 in France. Reuters stated that France will call together “some 70 countries” in Paris to discuss the situation in Israel. Soble explained that the Torah considers the phrase “70 nations” to symbolize all the nations of the world, even if the actual number exceeds 70. Soble retold the Jewish teaching that Sennacherib was supposed to be Gog when he came against Jerusalem in the time of King Hezekiah. He called Sennacherib an avowed atheist and narcissist. Without actually pointing a finger directly, Soble made the point that President Obama’s recent move in the UN Security Council echoes the narcissistic flaw of Sennacherib. The connection between Gog and Obama was made more directly in November 2015. Breaking Israel News published a viral news story about a 15 year-old Israeli boy named Natan who had a near-death experience. In a video interview, Natan, a previously secular student, returned from his experience quoting Biblical prophecy regarding the End of Days. In that video, Natan clearly named President Obama as Gog. 15-year-old Israeli youth Natan recounting his near death experience with Rabbi Rami Levy (right) in this video screenshot. Natan described his vision of Gog and Magog. “It’s going to be something that is called a very big war. And everybody – the whole world – will be involved in that war.. Everybody! All the goyim (nations), all the Arabs, everyone will come against the nation of Israel and will fight in that war. According to Soble, the Lubavitcher Rebbe also said that Psalm 2 is speaking about the war of Gog and Magog at the end of days. 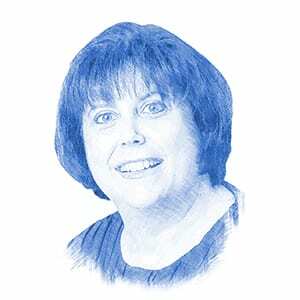 Soble encouraged his viewers to understand that this UN vote, and the upcoming meeting in France, are part of the messianic process and not to be fooled into thinking they are purely political maneuvers. The video was part of an effort that Soble runs on his Facebook page “Visualizing Moshiach and Geula (redemption)”. The page, which was started in September 2016, provides a forum for him and others to post brief videos with positive messages about the forthcoming redemption.